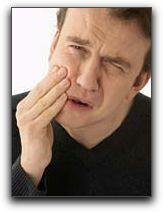 Tooth ache pain for anyone in Belmont, Comstock Park, Grand Rapids, Sparta and Rockford, MI can be unbearable. At the very least, toothache pain can cause you to avoid certain foods, temperatures, and even talking. Severe toothache pain can be downright debilitating, forcing patients to go to extreme measures to alleviate the pain. The most common causes of a tooth ache include tooth infection, decay, injury, and loss of a tooth. Tooth pain can also occur after a tooth has been extracted, or after an oral surgery involving anything from a tooth or your jawbone. We can help you better understand the source of your tooth ache pain, and in most cases we can provide a nearly immediate remedy. In more severe cases, we will council you on a variety of resolutions. Of course, professional dental cleanings and thorough examinations by Dr. Stewart and Dr. Hull are the best way to avoid tooth ache pain followed with a regular regimen of brushing and flossing. If you are experiencing tooth ache pain please call our office. Our team is eager to ease your discomfort.